Hold on a second. We know you want to start lashing around that whip of yours, but before you start testing out Indy's other accessories, why not start with something a little easier. After all, Indiana Jones is quite the master of his domain, but he wouldn't be who he is without his hat. This Indiana Jones hat is just like the one worn by him in the movies and won't cause some major damage around the house if you misuse it. So right off the bat it's better than a whip. You can always learn to use that later. Indy wouldn't be himself without his hat, so this is a key accessory for any Indiana Jones costume. It's definitely a much better place to start than wildly flailing around a whip trying to be like Harrison Ford. 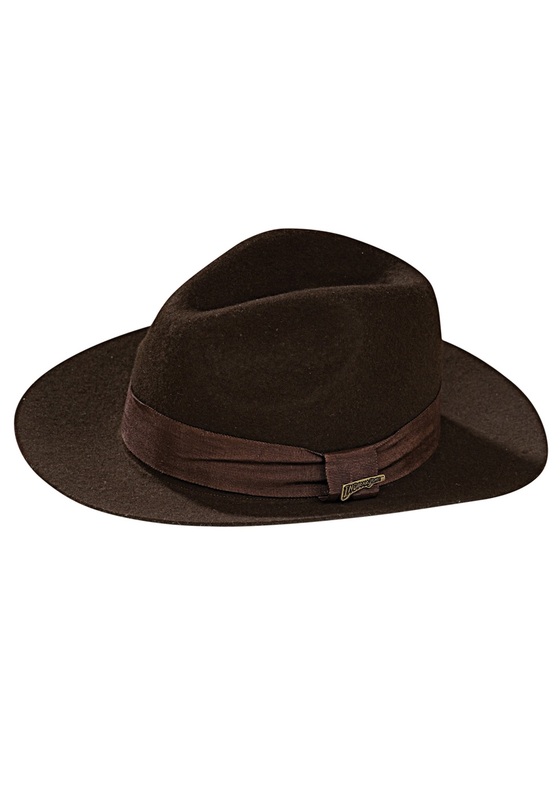 This officially licensed Indiana Jones hat is made of brown felt and is in the fedora style. The hat measures 22" in circumference and has an Indiana Jones logo pin on the side.